A while ago I joined the Fresh Mini Quilt Club over at Canoe Ridge Creations. 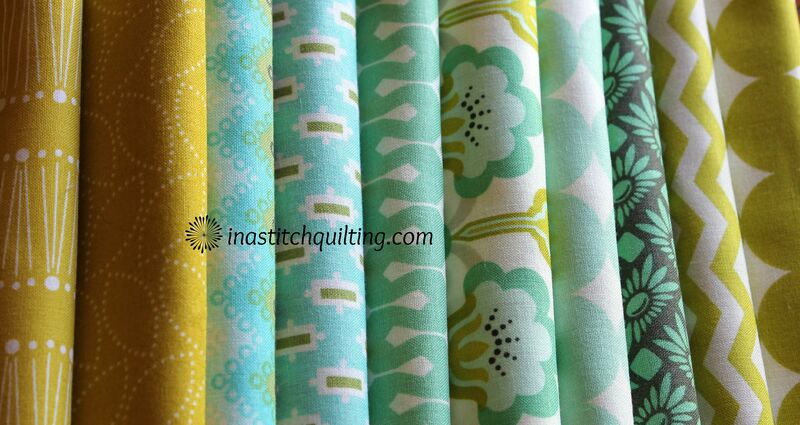 For a mere $25 I received six mini quilt patterns, one each month for six consecutive months. I successfully completed the first three. They were the Sea Breeze, Sweet Tooth and Stix Mini Quilts. The remaining three sat untouched until now. I recently came across the documentation for the last three in the series. Seeing the patterns renewed my interest in completing them. While I appreciate the time and effort the author invests in the development of each pattern, I don’t always agree with every detail. With no rules stating I must complete each one exactly as designed, the door to artistic interpretation was open. After reading and re-reading the patterns I began to get ideas on how I would like to proceed. I mapped out a plan for all three, making adjustments to each one. The mini quilt I will work with first is called Winter Sky. The mini quilt, as designed, is very attractive yet too plain for my taste. The author’s version utilized three different colors of fabric. One for the background and two different colors for the remaining sections. Not to long ago I finished the quilt top for the Acorn Quilts First Year Quilt pattern. That quilt was done using the scrappy technique. Scrappy means the odds and ends of fabrics left from previous projects are chosen rather than using new pieces of cloth. I rather liked how that top turned out and wanted to carry the same method through into other projects. With the scrappy theme in mind I decided to make each of the four stars out of different fabrics. Rather than using the prescribed three colors I would be using eight. Two for each star. The calculations I had made previously revealed I could easily utilize fat quarters for my fabrics. This revelation made me quite pleased because I have a generous supply of fat quarters. I had a great time auditioning candidates from my inventory. While I wasn’t exactly thrilled with the colors I had on hand I figured I could supplement them with a few new purchases. 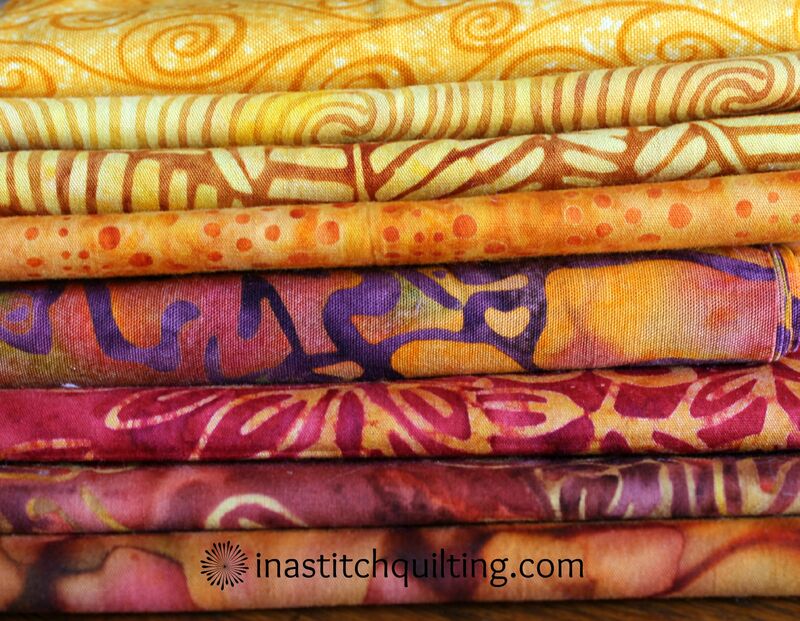 From my available options I first began pulling red, yellow and orange batiks. I found eight that I thought looked quite nice together. Even though they were great companions I wasn’t sold. Next I went with a grouping of black, gold and teal but this pallet didn’t grab me either. My third choice was a grouping of browns and tans. But, just like the other two arrangements I just didn’t feel it. Finally I stumbled upon these eight fat quarters. 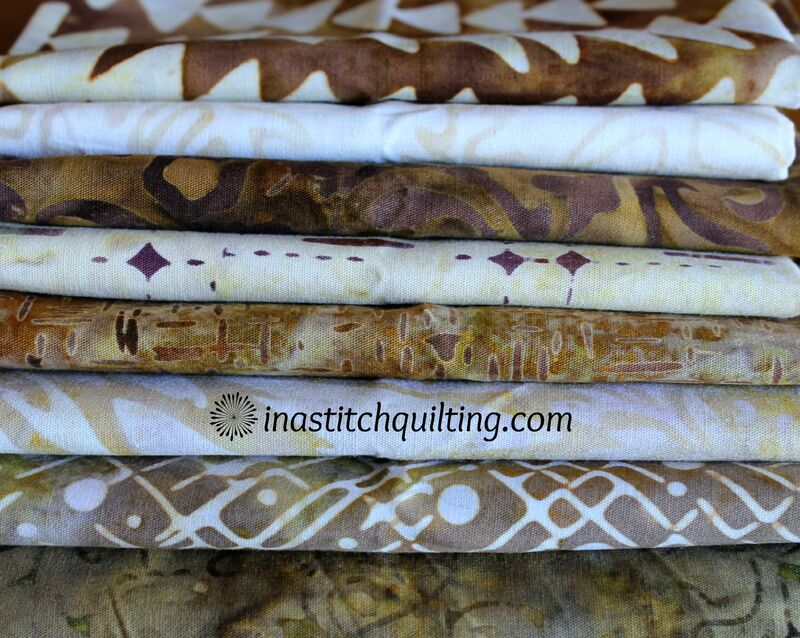 Once I saw them all together I knew they were perfect for my mini quilt. With my fabric selections complete it was time to press on with construction. But I’m not going to share that part with you now. 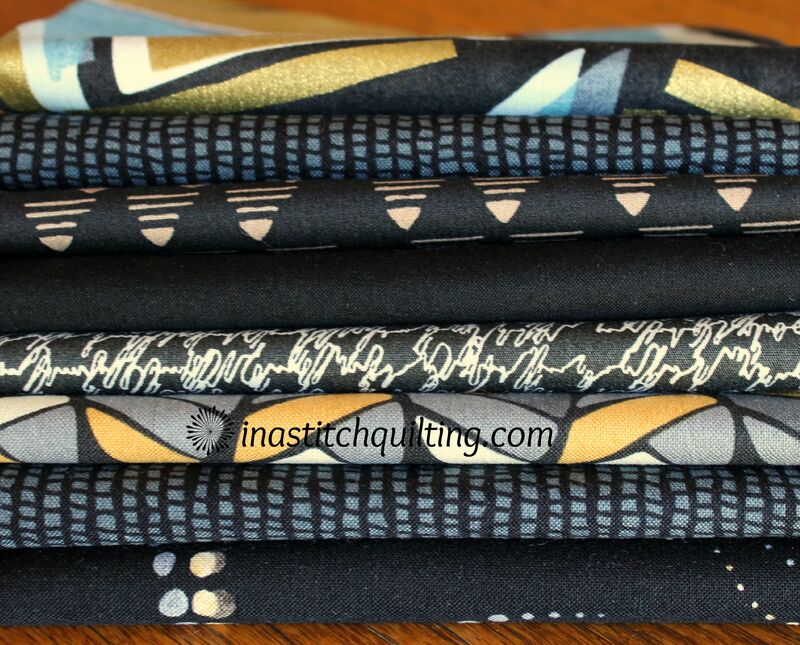 If you want to see how the Winter Sky mini quilt top turned out you will have to check back later. Until then I would love to hear what you think of my fabric choices? Leave me a comment with your favorite one.